Your MSP company will naturally get reviews, but you may be sitting on them without realizing it. When you’ve got long-term clients or new ones who are satisfied and haven’t written a review, you might ask for one and offer some discount or other as an incentive. Additionally, you might write the review yourself, present it to the client you’ve written it on behalf of, and when you get their go ahead, post it online. 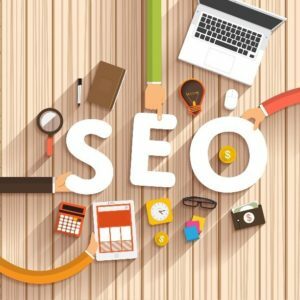 You save them time, get it written how you want, and have an additional “node” which can be used to buff up your SEO profile. People have grown savvy to the internet and related intricacies. When they search for companies, they’re looking for localized solutions. Localized solutions need not be local, however. You can anticipate such search patterns and get ahead of them by localizing keywords to the region you’re serving specifically. Don’t simply use lingo or keywords that have only been derived through statistics. You want common sense keywords. What do clients need and how do they go about seeking it? They’re likely going to type similar phrases into Google. Provide keywords which match the colloquial understanding of what you do. This is what people look for. Your business will immediately show up on SERPs (search engine results pages). This is common sense keyword creation. Your MSP company can facilitate reviews, locally base keywords, and design keywords in a common-sense way more likely to send those searching to your landing pages. Working with SEO groups specializing in MSPs is sensible, but when they’re not available, internal solutions like those explored here can help you increase SEO effectiveness.